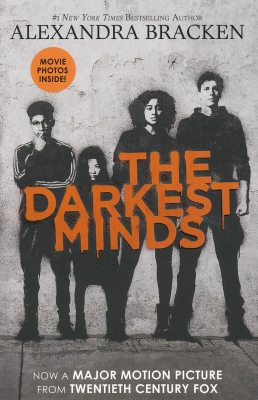 The Darkest Minds The Darkest Minds Book 1 Movie Tie-in Edition The Darkest Minds 01 - ubiq bookshop: the best place to buy books! When Ruby woke up on her tenth birthday, something about her had changed. Something frightening enough to make her parents lock her in the garage and call the police. Something that got her sent to Thurmond, a government 'rehabilitation camp'. Ruby might have survived the mysterious disease that killed most of America's children, but she and the others had emerged with something far worse: frightening abilities they could not control. Now sixteen, Ruby is one of the dangerous ones. When the truth comes out, Ruby barely escapes Thurmond with her life. Now on the run, she is desperate to find East River, the only safe haven left for kids like her, and she joins a group of other runaways who have escaped their own camps. Liam, their brave leader, is falling for Ruby, but she can't risk getting close. Not after what happened to her parents.